The current energy secretary and former Texas governor's name is being floated as Trump mulls another major shakeup in his cabinet. 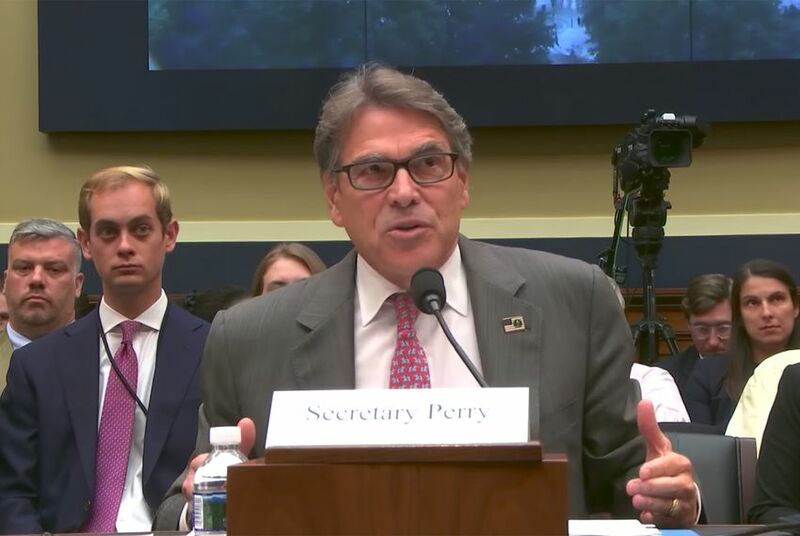 WASHINGTON — President Donald Trump is considering moving U.S. Secretary of Energy Rick Perry to a new Cabinet post, leading the U.S. Department of Veteran Affairs, according to multiple news reports. The current VA secretary, David Shulkin, is under fire for taking a taxpayer-funded trip to Europe last year. Perry, an Air Force veteran, has expressed his interest in veterans' causes for years. Should the appointment come through, he would face Senate confirmation later this year. The former Texas governor was one of Trump's fiercest critics when both men vied for the 2016 GOP presidential nomination. That he survived the first year of the Trump presidency and is up for another post is a striking turn in the relationship between the two men. The news comes amid a particularly tumultuous day in the Trump administration. Earlier in the day, Trump fired another Texan, outgoing Secretary of State Rex Tillerson, via Twitter. The New York Times floated another Texan, Ray Washburne, president of the Overseas Private Investment Corporation, as a possible Perry replacement at the Department of Energy.